Mousepads, phone covers, mugs, stickers, buttons, shirts and more! 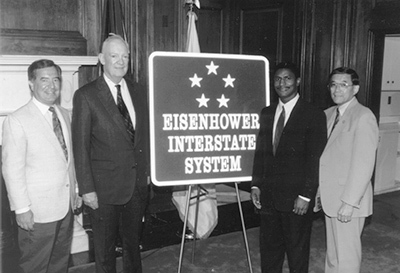 The Interstate Highway System had been lobbied for by major U.S. automobile manufacturers and championed by President Dwight D. Eisenhower, who was influenced by his experiences as a young Army officer crossing the country in the 1919 Army Convoy on the Lincoln Highway, the first road across America. 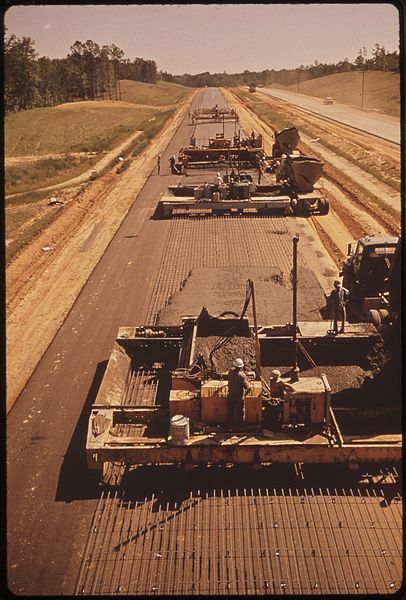 Initial federal planning for a nationwide highway system began in 1921 when the Bureau of Public Roads asked the Army to provide a list of roads it considered necessary for national defense. This resulted in the Pershing Map. Later that decade, highways such as the New York parkway system were built as part of local or state highway systems. 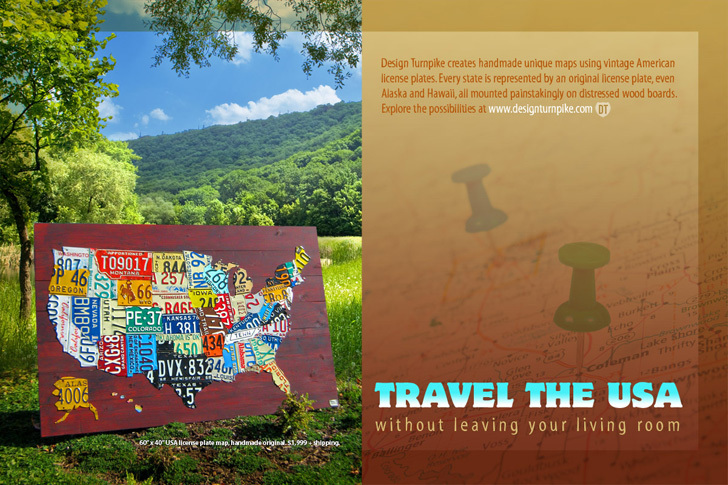 As automobile traffic increased, planners saw a need for such an interconnected national system to supplement the existing, largely non-freeway, United States Numbered Highway system. By the late 1930s, planning had expanded to a system of new superhighways. In 1938, President Franklin D. Roosevelt gave Thomas MacDonald, chief at the Bureau of Public Roads, a hand-drawn map of the U.S. marked with eight superhighway corridors for study. 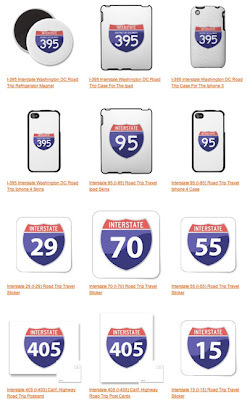 In 1939, Bureau of Public Roads Division of Information chief Herbert S. Fairbank wrote a report entitled Toll Roads and Free Roads, "the first formal description of what became the interstate highway system," and in 1944 the similarly themed Interregional Highways. Eisenhower gained an appreciation of the German Autobahn network as a necessary component of a national defense system while he was serving as Supreme Commander of the Allied forces in Europe during World War II. He recognized that the proposed system would also provide key ground transport routes for military supplies and troop deployments in case of an emergency or foreign invasion. The publication in 1955 of the General Location of National System of Interstate Highways, informally known as the Yellow Book, mapped out what became the Interstate System. Assisting in the planning was Charles Erwin Wilson, who was still head of General Motors when President Eisenhower selected him as Secretary of Defense in January 1953. The Interstate Highway System was authorized by the Federal Aid Highway Act of 1956 – popularly known as the National Interstate and Defense Highways Act of 1956 – on June 29. According to information liaison specialist, Richard Weingroff, the Pennsylvania Turnpike could also be considered one of the first Interstate Highways. 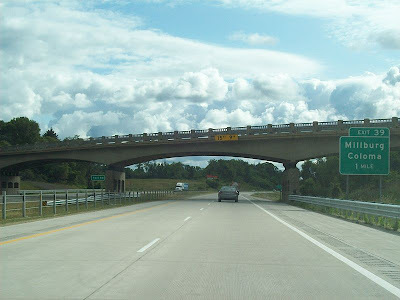 On October 1, 1940, 162 miles (261 km) of the highway now designated I-70 and I-76 opened between Irwin and Carlisle. The Commonwealth of Pennsylvania refers to the turnpike as the Granddaddy of the Pikes. Nebraska was the first state to complete its mainline Interstate Highway, finishing its section of Interstate 80 on October 19, 1974. The opening of I-70 through Glenwood Canyon in 1992 is often cited as the completion of the originally planned system. The initial cost estimate for the system was $25 billion over 12 years; it ended up costing $114 billion (adjusted for inflation, $425 billion in 2006 dollars) and took 35 years. 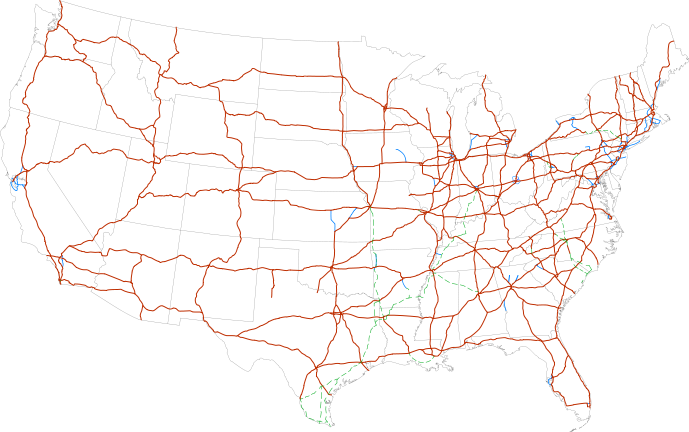 The Dwight D. Eisenhower National System of Interstate and Defense Highways (commonly known as the Interstate Highway System, Interstate Freeway System or the Interstate) is a network of limited-access roads including freeways, highways, and expressways forming part of the National Highway System of the United States of America. The system, which is named for President Dwight D. Eisenhower, who championed its formation, serves nearly all major U.S. cities. Construction was authorized by the Federal-Aid Highway Act of 1956 and the original portion was completed 35 years later. The network has since been extended and as of 2006 it had a total length of 46,876 miles (75,440 km). 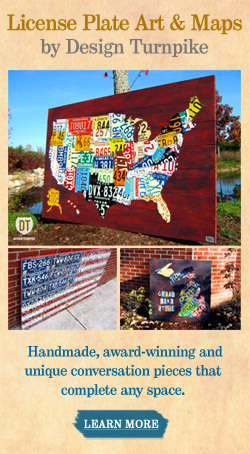 About one-third of all miles driven in the country use the Interstate system (2003 figures). The cost of construction has been estimated at $425 billion (in 2006 dollars), making it the largest public works project in history.